About a month ago, I had exclaimed to my husband that I wish I could just hire a personal shopper and not worry about finding stuff. I just wanted someone to bring me a pile of clothing that they thought would look good on me, and tell me what to try on. It's a website that I found (I think the creepy Facebook Ad people shoved it through my newsfeed, actually), that allows you to fill out a profile and then someone sends you 5 articles of clothing (or accessories), based on your profile, for you to try on. You keep what you like, you send back what you don't. I toyed with the idea for a while, and ultimately decided against it, because I was convinced that nothing would fit me properly anyway, since it's so hard for me to find clothing that fits on my own. But then, one day last month, I was in an adventurous mood, and I decided to give it a try. When you order your first fix, they have you fill out comments to your stylist. I had mentioned how I was looking for a dress to wear to an upcoming wedding that I was second shooting. I wanted something that would be cute, but appropriate and easy to work in. I also mentioned how I was lacking in cute casual blouses. I ended up finding a dress for the wedding before I got my first fix, but... the fact that my stylist was very obviously reading what I wrote, and looking for pieces specifically for those things, is pretty cool. I love the neckline, the color, and the bust on that one, but I'm kind of unsure about how the rest of it falls on me. I tried it on with a belt, but I'm still not sure about it, haha. This one was just a resounding "Nope" for me. Haha. The way that it fits kind of reminds me of wearing scrubs. I like the neckline of this one, but that's about it. There was no sitting on the fence with this, haha. This one is shaped similarly to the 41Hawthorn blouse, but for some reason I feel like it fits a little better. Maybe it's the pattern (that's what my husband suggests), maybe it really is cut a little better... or maybe it's just in my head, haha. Either way, I like this one. And it looks cute with a belt! I really *wanted* to like this dress... but in the end, the elastic faux rope belt sat too far down on my waist, pinching the dress in such a way that it ends up looking a little frumpy on me, I think. I feel like if the "belt" was positioned a little higher, I would have been sold on this one. ...had me super impressed over the fact that it fit my waist PERFECTLY. It's super hard for me to find anything that fits that well, let alone a dress. I thought it was adorable! On top of fitting well, it is made of a 90% polyester, 10% cotton blend, so it's a little "heavier" which will be great for the fall and winter. And it has front pockets, so if I ever want to wear it to second shoot, I have a great place to stash SD cards and lens caps, until I can make it back to my camera bag, haha. The only thing that threw me off for a moment was the neckline. It's a little higher than I usually wear, but in the end I decided that it was adorable, and that pairing it with a cute, fuller, necklace, might give it that little bit of extra flair. I'm 90% sure I'm counting this one as a win. All in all, there were 2 pieces I really liked from this Fix, which is 2 pieces more than I anticipated, so that's pretty awesome! I do have another day to decide what I want to keep and send back. Sometimes I think things look good on me that don't, and other times I think things that don't look good on me do, and it just takes me a moment to warm up to it, so I would LOVE your feedback! 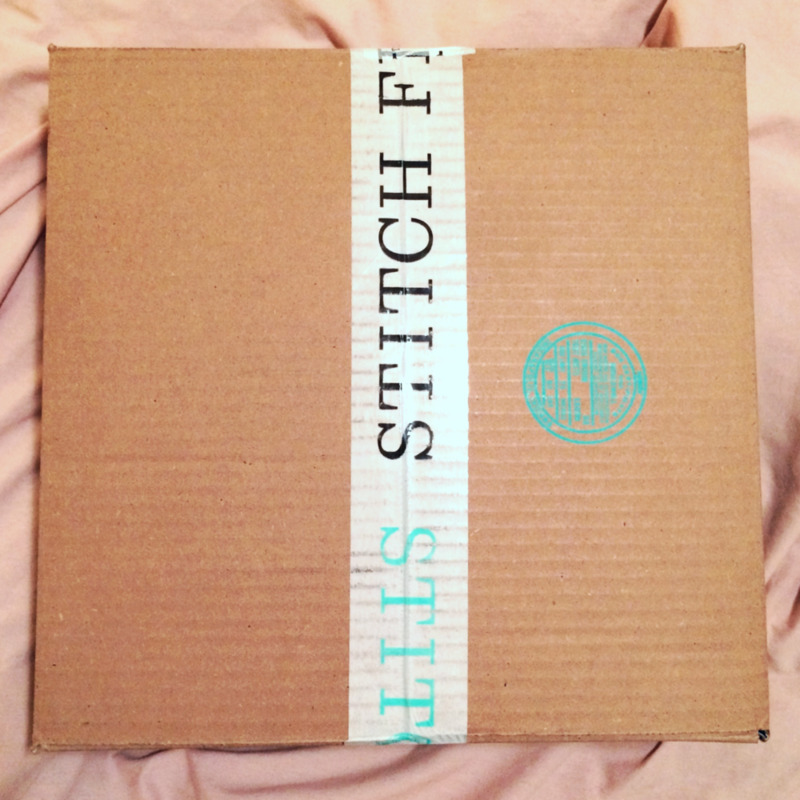 Oh... and if you want to try StichFix for *yourself*, click this link to get started! !